Sometimes finding the right pair of earphones can be a daunting task. You have to take into consideration price, design, features and functionality, audio quality, fit, and especially microphones if you plan on using it with your cell phone to conduct calls too. Thankfully, consumers have many options to choose from in this space. The Panasonic RP-TCM125 is one of the best sounding, lightweight and comfortable earphones on the market within its price range. They come with three different sized earpads (S/M/L) to provide the most comfortable fit. Choose from black, blue, pink, violet, or white to better suit your style or preference. Attached to the cord is an integrated mic and inline controls for music and calling functions. The length of the cord is about 3.6 feet. Inside each earphone is a 9mm driver. The Panasonic RP-TCM125 earphones were featured on The Verge, chosen as their winner for The Best Headphones For Under $50 by editor Dan Seifert. He mentioned that despite the low price, they do not sound very cheap. Seifert stated that "the sound quality is so good, I often forgot I was wearing cheap headphones and not more expensive models." They retail for about $20. 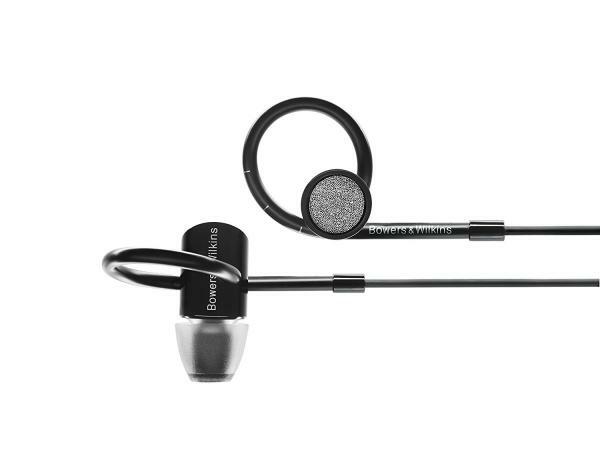 The Brainwavz Delta with Mic, just like the Panasonic RP-TCM125, will not break the bank. They are made of high grade aluminum with the tips consisting of comply foam for better comfort and fit. There is a three-button remote attached to the cord, which also houses the built-in mic for calling. The cord is approximately 1.3 meters long and has a Y cord design. Within each of the earphones is an 8mm, dynamic driver. There are two variations available: one for iOS users and the other for Android users. Lauren Dragan, in her article on Forbes, highly recommended the Brainwavz Delta with Mic as the best earphones under $40. What made them fantastic was that "every kind of music sounds good on them." Plus, she said that "the Brainwavz have a sense of space that makes music sound more like a concert happening in front of you." They cost around $23. Another affordable and great sound quality earphone is the AKG Y20U. Its lightweight polycarbonate design and three-sized silicone sleeves (S/M/L) provide a comfortable fit for any user. Not only that, but the ear-tips have been angled slightly to ensure that they fit more snuggly in the ear. They sport two 8mm dynamic drivers and have an inline universal remote with microphone. They come in three different color schemes: black, teal, and yellow. Featured on The Wirecutter, the AKG Y20U was regarded as the best value in-ear headphone by the aforementioned editor Lauren Dragan. What made them stand out was the quality of sound they were able to output for being priced so low. She was impressed by how balanced the audio was since many others had a tough time in this regard. You can purchase them for about $30. On the more unique side of things, the Symphonized NRG Wood In-Ears are made of real wood. Symphonized claims that the wood material will help to reproduce sound better. They can be purchased in a multitude of different styles and colors, including blue, pink, orange stripe, turquoise blue, zebra and many more. Three standard sizes of silicone ear tips have been included (S/M/L). The built-in inline mic offers the ability to answer/end calls, in addition to providing basic music playback functionality via voice control. 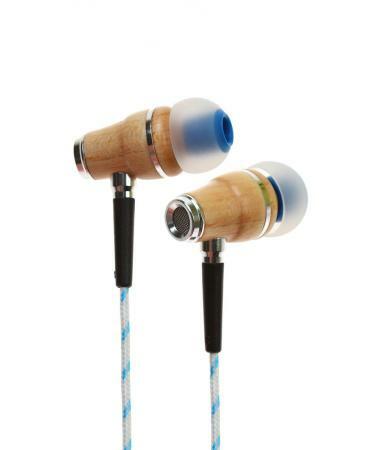 Currently on Amazon, the Symphonized NRG Wood In-Ears have an overall rating of over 4 stars out of 5. This high rating was accumulated from over 4,700 customers/reviewers. It retails for about $25. On the higher end of price and quality is the Bose SoundTrue Ultra. 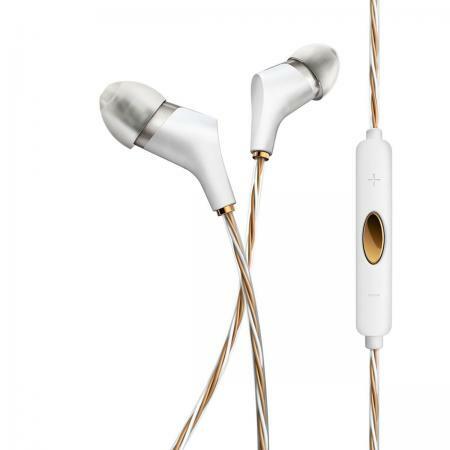 According to CNET's editor David Carnoy, they are "one of the most comfortable in-ear headphones available." The proprietary StayHear Ultra tips, which come in three sizes, conform to your ear shape without putting any unwanted pressure. The tangle-free cord is a T-joint design that has a three-button inline remote with built-in mic for music and calling purposes. 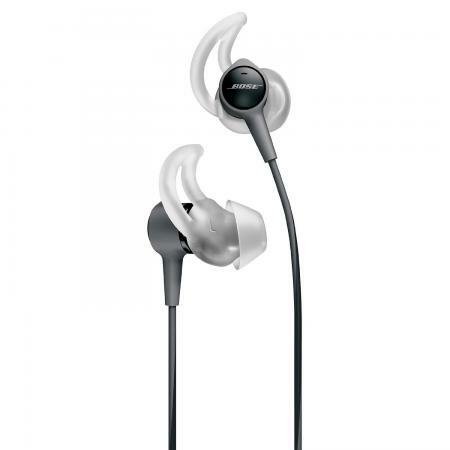 Also, the Bose SoundTrue Ultra are sweat and weather resistant. Featured on CNET as one of their top picks for best earbuds of 2016, the Bose SoundTrue Ultra received an 8.2 out of 10 by David Carnoy. David described the call quality as excellent, saying that "you can hear people better in noisier environments thanks to the noise isolation." They will cost you roughly $129. Next in line is the Klipsch Reference X6i. Durability and design are its most appealing and appreciated elements. They are made of die-cast zinc with a housing made of co-molded elastomer. The ear tips provide a great deal of noise isolation and comfortable fitting thanks to its flexible oval design. The tangle-resistant and copper exposed cord is thick enough to provide great durability and reliability. Much like the others, there is a three-button remote with an integrated mic. 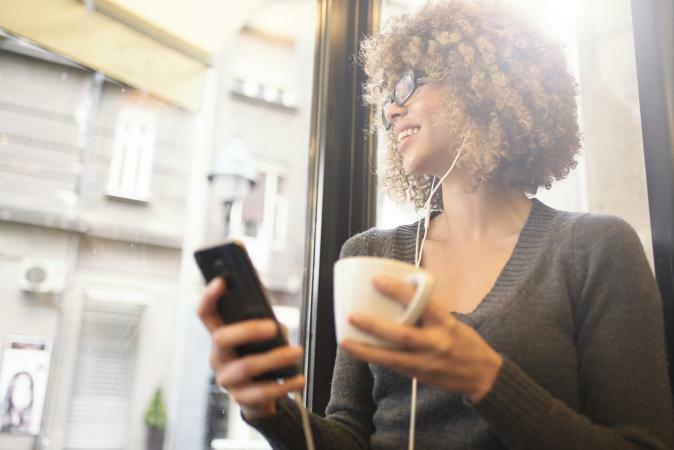 Sound quality during calls is great since editor Lewis Leongand in his review on TechRadar claimed that his friends and family members were able to hear him clearly without any trouble. Lewis gave a rating of 4.5 stars out of 5 to the Klipsch Reference X6i, saying they "offer rich, neutral sound and excellent build quality and finish." You can purchase them for around $180. The Bowers & Wilkins C5 Series 2 provides top notch audio and build quality. 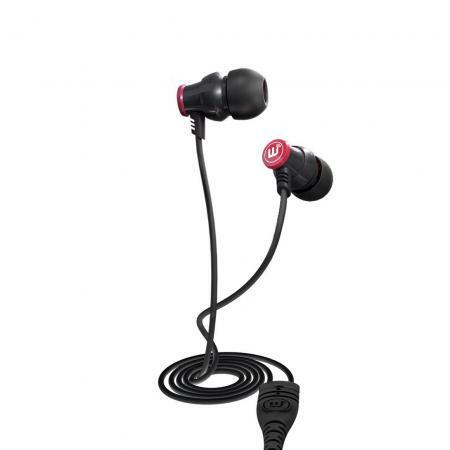 They feature a cushioned loop design that expands to the user's ear shape and size for a comfortable and secured fit. It offers three different sized silicone ear tips. Internal components consist of 9.2mm dynamic drivers with Tungsten steel weights that help shift and balance the weight of the headphones towards your ears. There is an inline remote with mic. The three buttons can be used to control music playback and switch between call and music functionality seamlessly. The Bowers & Wilkins C5 Series 2 was awarded PC Mag Editors' Choice award by editor Tim Gideon. Not only that, but it received a rating of over 4 stars out of 5 on PC Mag as well. Tim, who was greatly impressed by them, said, "These are simply some of the most elegant in-canal earphones available under $200." They retail at about $150. Not for the budget conscious, but rather for those willing to fork up a pretty penny for one of the best noise cancelling earphones on the market, is the Bose QuietComfort 20i. Included are three pairs of their proprietary StayHear+ tips (S/M/L) and a clothing clip. There is an inline rechargeable lithium-ion battery and circuitry compartment that is used for the noise cancelling feature. The rechargeable battery offers about 16 hours of usage. The noise cancelling feature is independent of the audio output meaning that you do not need to enable and use the noise cancelling feature to listen to music or make calls. Speaking of calls, there is an inline remote with microphone for music playback functions and answering/ending calls. Also on the remote is a button to enable and disable the Aware Mode, which allows the user to listen to their music and hear certain pertinent sounds around them simultaneously without having to pause or remove the earphones. Managing to pull in the PC Mag Editors' Choice award much like the aforementioned Bowers & Wilkins C5 Series 2, the Bose QuietComfort 20i was featured as the number one choice for the "Best Earphones of 2016" by PC Mag. Editor Tim Gideon says that "it's by far the most advanced, flexible noise cancellation we've ever experienced." You can pick one up for about $250. At the end of the day, choosing the best earphones comes down to price and quality. You can find one that is very budget friendly, but may not fulfill your needs in the quality department. Alternatively, you may find one that is ideal for you, but it may be quite expensive. Just try to strike the perfect balance between the two in accordance to your needs and budget constraints. And if you are one who does not care for a built-in mic for calling purposes, then you might find some great earphones without mics that better fit your needs, preferences and budget.